As spring break in Naples, FL starts winding down our deep sea fishing remains red hot. 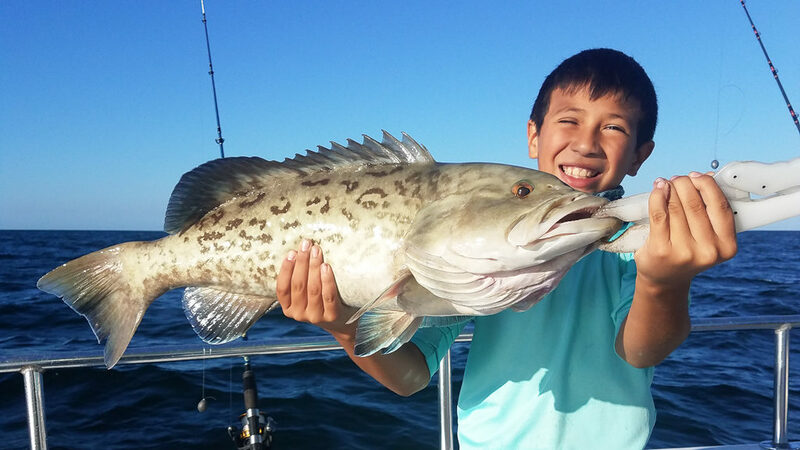 We took these young anglers out for a 1/2 day fishing charter recently and they caught a large variety of fish including mangrove snapper, grouper, porgie and sheepshead. Most of these fish are caught on light tackle which makes it easy for the kids and allows the fish to provide a great battle for all. We believe the fishing, especially grouper, will continue to improve as the waters of the Gulf of Mexico continue to warm up. Don’t miss this great opportunity to have some great family fun and catch some great eating fish.